65 new UCOITEES are joining in Changigarh, Jalandhar, Karnal Zones. 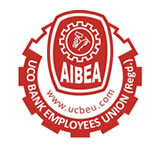 UCO Bank and UCBEU has already informed all the members via email. Consequent to the merger of Dena Bank and Vijaya Bank with Bank of Baroda from today, it has become necessary to amalgamate our Unions under AIBEA in these three Banks. Accordingly, a joint meeting of All India Bank of Baroda Employees Co-ord. Committee, All India Dena Bank Employees Co-ord. Committee and Vijaya Bank Workers Organisation was held at Hyderabad on 29th March, 2019 along with the Central Committee of AIBEA. With this merger of the Bank and affiliation of all our unions in Dena Bank and Vijaya Bank with our union in BOB, AIBEA’s membership in BOB has gone upto 22,050 thus AIBEA union (AIBOBECC) has emerged as the overwhelming majority union in Bank of Baroda. It is a very happy moment for all of us in AIBEA and we convey our greetings to all our units and members, particularly in BOB on this happy occasion. 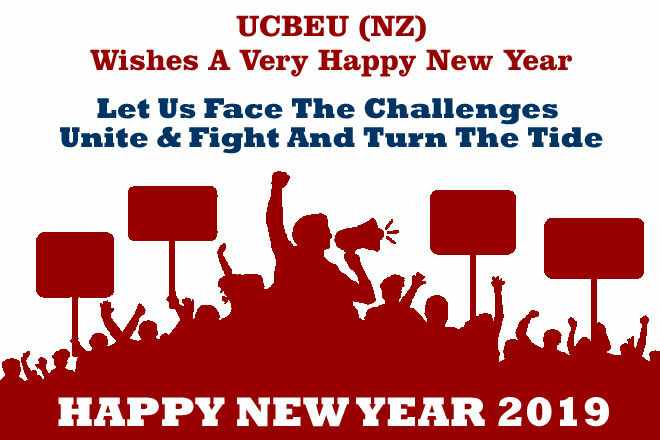 We are sure that our union will grow further in the days to come. Central Committee meeting of AIBEA was held in Hyderabad from 27th to 29th March, 2019. The meeting was presided over by Com Rajen Nagar, President along with our Vice Presidents Com J P Sharma, Com M M Rai and Com. Nandakumar Chavan. CONGRATULATIONS TO ALL OUR UNITS AND MEMBERS. As planned and decided by the Pune Working Committee, campaign on NEW CUSTOMERS MOBILISATION was launched in the following centers / state units with an unprecedented enthusiasm and fanfare. Ever since the Central Government announced in September, 2018 their decision to amalgamate and merger Bank Baroda, Dena Bank and Vijaya Bank, we have been engaging ourselves in continuous protest programmes to oppose this unwarranted move. We had observed a very successful protest strike on 26th December, 2018. But typical of this Government, they are trying to ignore our democratic protests and recently they have announced the approval of the merger by the Cabinet and notifying the Scheme. One more round of Bipartite Discussions was held between workman unions and IBA today at Mumbai. IBA was represented by Mr. Rakesh Sharma, (MD of IDBI Bank), Chairman of the Small Negotiating Committee, Mrs. Reeta Kaul, GM, PNB, Mr. S K Suri, GM, Allahabad Bank, Mr. B Rajkumar, Dy. Chief Executive, IBA, Mr. Sanjay Prakash DGM, SBI, Mr S K Kakkar, Sr Advisor-HR, IBA and Mr. KS Chauhan, Sr Vice President, IBA. We were represented by our five Workman Unions. A strong contigent of 40 plus young comrades have attended the 2nd Youth Conference at Jaipur under the banner of UCO Bank Employees Union (North Zone). Congratulations and red salute to all of you dear comrades. The All India Strike by 10 lacs bank employees and officers all over the country yesterday, 26th December, 2018 has been a total success. The strike was called by United Forum of Bank Unions to protest against the Government’s recent decision to merge Bank of Baroda, Dena Bank and Vijaya Bank into one single Bank thus, in effect, closing down two public sector Banks. From yesterday afternoon, there have been lot of queries from our units about the withdrawal of our strike on 26th December, 2018 as reported in some TV channels. As usual, even without verification, it has been circulated in whatsapp, etc. adding to the confusion. IBA has advised all Banks to renew the Medical Insurance Policy for in-service employees/officers based on revised quotation from UIIC. Medial Insurance Policy for retired employees/officers will end on 31-10-2018 and hence has to be renewed from 1-11-2018 upto 31-10-2019. United India Insurance Company had quoted steep increase in the premium for the next renewal.